Capture and edit your important tutorial videos for you at one time. Pluralsight offers adaptive skill management program along with its advanced learning tools. If you are really serious about your skills development needs and want to become master in programming then it is good to choose Pluralsight as online learning platform for you. Users will be able to avail 24x7 help support from pluralsight. This website is widely preferred by professionals from architecture and construction field, business professionals and people dealing in cyber security and information. Learners at Udemy can access wide range of courses that may range between creative content to technical ones. This is great source of learning if you know your needs and want to succeed with your passion. Courses are focused on skill development as a beginner so if you are just about to start with your career path then you can avail better guidelines from Udemy. Some of the most popular learning fields are photography, music, business, development and marketing etc. Pluralsight offers limited number of courses; you can access around 5000 courses over this platform whereas Udemy has a wide range of courses that goes up to 42000. 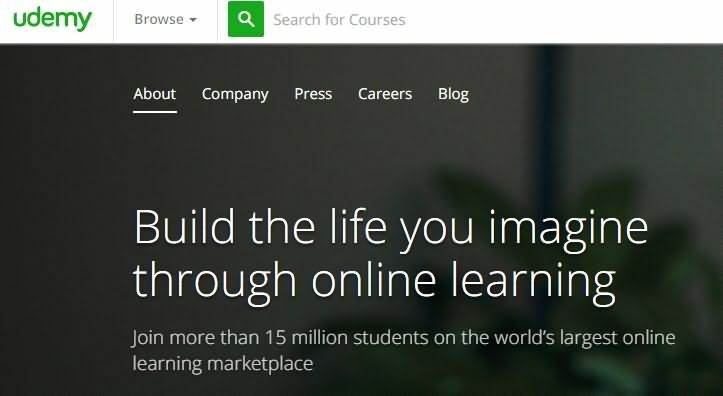 Udemy is currently serving students from 190 different countries and the count has grown up to 14 million active learners. This website focuses on topics related to almost all popular fields like art, business, IT and design etc. So many interactive learning paths are available on Pluralsight and they assist in efficient course selection. Programming courses are developed for advanced coding experts and it deals with in depth problems so that people can master their skills to serve in IT companies. Users can access pre as well as post courses on this platform and various post assessments are utilized to decide certificate ranking of learner. If you find yourself stuck with certain problems then you can directly ask mentors. In case of udemy, programming problems are more useful for beginners as they start from basic. But experts can also access the advanced code development courses. Some of these also involved assignments and quizzes for skill development. Quality of content is rated almost similar on both platforms but in case of Udemy users may sometime find low quality content. As this platform is accessed openly by instructors so quality of content may decay and length of videos also use to vary from few minutes to hours. In case of Pluralsight, you will be able to access courses that are developed by well experienced industry experts but they are not as easy for beginners. Some content on pluralsight is also rated to be outdated. Udemy offers so many courses to its learners where few can be accessed for free and others are paid. It is possible to get $5 increment over $20 and $200 but authors also use to provide discounts on different courses. Pluralsight follows two types of packages: one is available with payment of $299 per year and other can be obtained with monthly payment of $29. In case if you want to access a business package then you must go for payment of $499 per year. 10 days free trail is also available. If we compare pricing of both sites then courses at Udemy may appear much expensive as compared to monthly subscription plan of Pluralsight. Udemy as well as Plurasight, both platforms are rated in top listing under best online learning platforms. If you are clear about your learning goals then you will definitely find an impressive platform to sharpen your skills on these sites. If you want to deal in topics that are specific to programming then you must go for Plurasight but for wide range of other topics it is good to choose Udemy as your online learning platform. Purchase is worth on both sites.